No matter where you live in Thailand, Key Visa can help you to renew your British Passport or apply for your child’s first British passport. 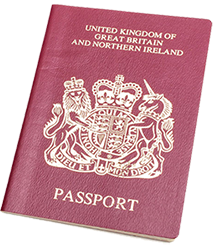 All you need to do is send the application and your original passport to us by recorded delivery – please don’t use the regular postal service as your passport is an important document and it could go missing. You can use the Thai registered mail service by visiting your local post office and asking to send a package by EMS – Express Mail Service and make use of their tracking service called Track & Trace. You will be given a 13 digit number which will enable you to track your packages progress and trace its location by visiting this website. You can also send your passport application to us by DHL and you can find a list of DHL offices in Thailand here.